PAYMENT for entry is due at the time of submission. Entries are not final until payment is received. If you are mailing a check, please be prepared to do so as soon as you submit entries. If you choose to pay by Credit Card or PayPal, you will be charged a 4% convenience fee. FRIDAY 9:00 AM – Stalls/Grounds Open – EARLY ARRIVAL NOT ALLOWED! Remaining sessions on sale at show office when we open. Additional exhibitions sold at the gate (CASH - $5 each) as time allows. This is required regardless of contestant age or amount of money won. NO OUTSIDE SHAVINGS ALLOWED. Additional shavings $8 per bag on sale at show office. DISCLOSURE Rider agree to become familiar with and abide by the rules of this event. 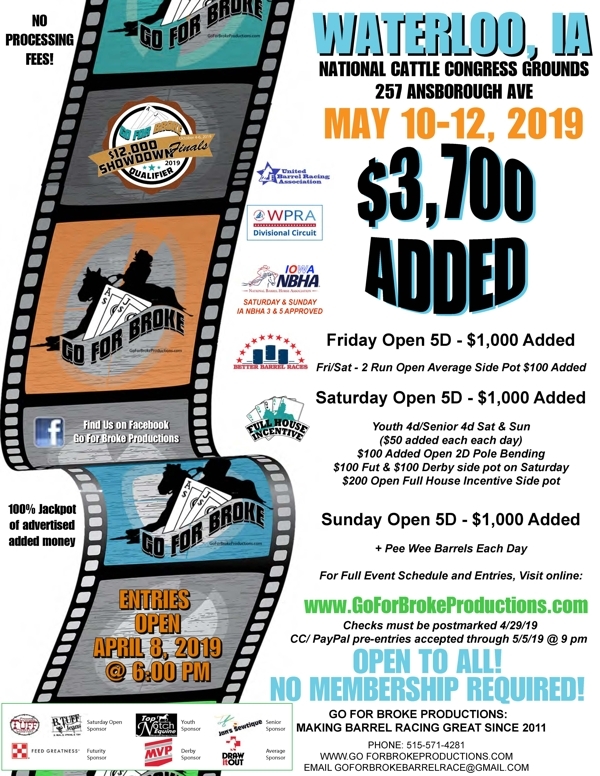 Rider understands that Go For Broke Productions (producers of this event) along with the staff and associates of GFBP are not responsible for accident, injury, theft or death to themselves or property while attending, competing, camping or spectating at this event. Rider understands that Go For Broke Productions reserves the right to refuse entry for any reason. 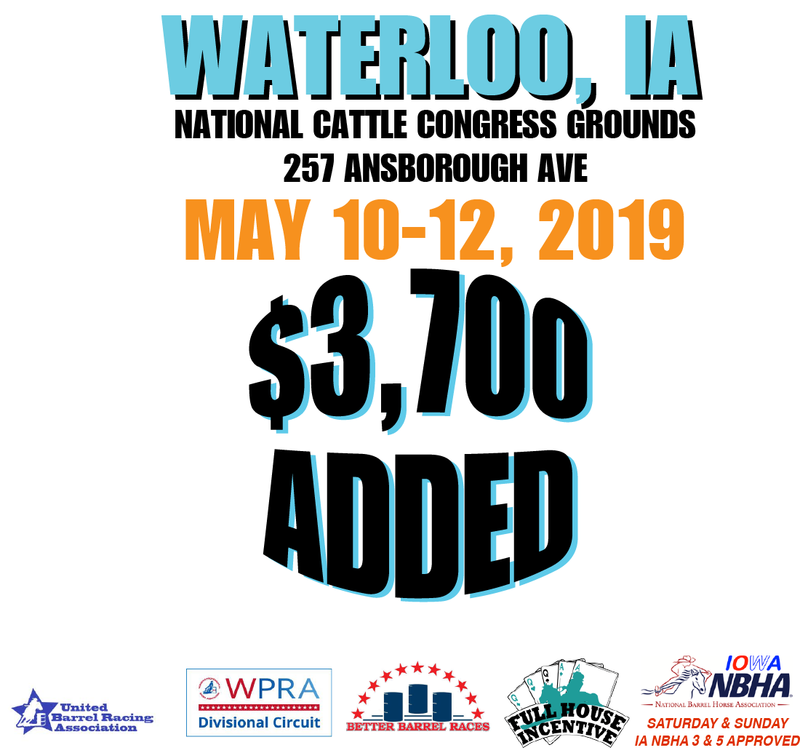 WARNING: Under Iowa Law, a domesticated animal professional is not liable for damages suffered by, an injury to or the death of a participant resulting from the inherent risks of domesticated animal activities, pursuant of Iowa Code Chapter 673. You are assum-ing inherent risks of participating in this domesticated animal activity.